Hi and welcome! 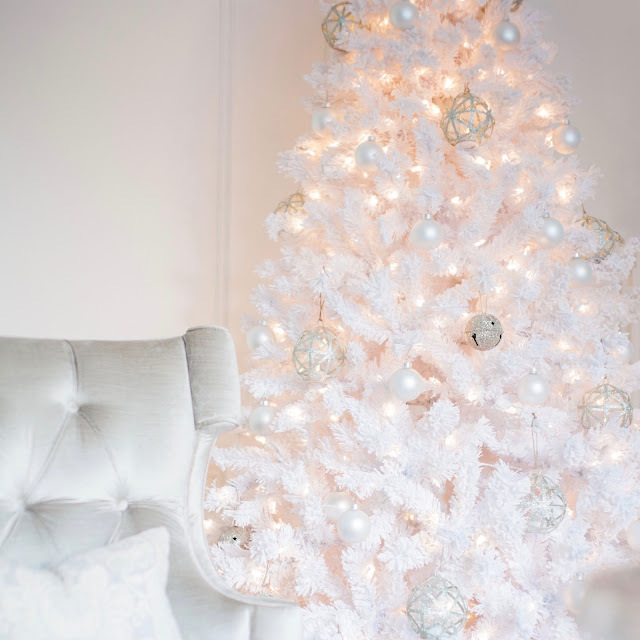 I'm delighted to be on this fun Christmas home tour with such a great group of bloggers. If you're following along on the loop you've likely just come over from Ashley's blog, Curls and Cashmere. Wasn't her tour lovely? So much inspiration. The next one after me, with Modern Glam is amazing too, but more on that below. I'm so glad you're here today and I get to share our holiday home and traditions with you. Family is so very important to me, but I'm also a designer... so decor with sentiments in mind are at the top of my list. 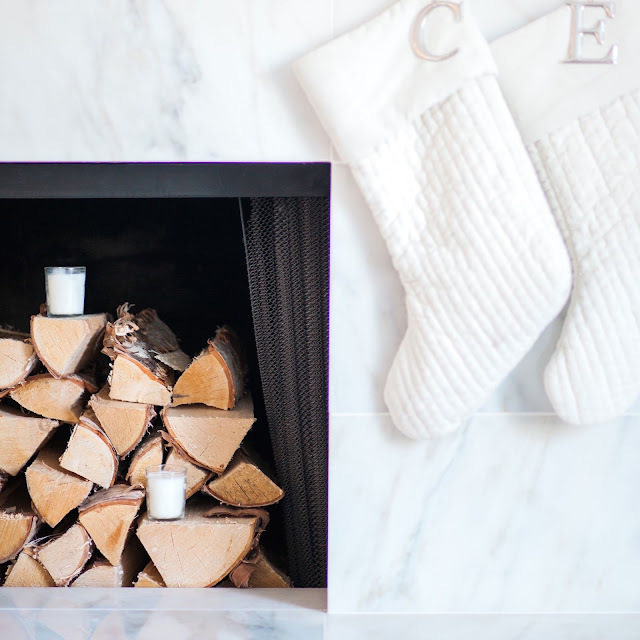 When I first picked out holiday decor, my goal was to get something I'd love year after year knowing I'd make slight tweaks. I felt it was important to invest once in good quality elements that last and become treasures you pull out of storage every year. For this reason I love my velvet quilt collection. The stockings and tree skirt are so well made. I also have a base collection of white satin glass ornaments. I reuse these every year too and then sprinkle in whatever other palette I've decided to mix in. 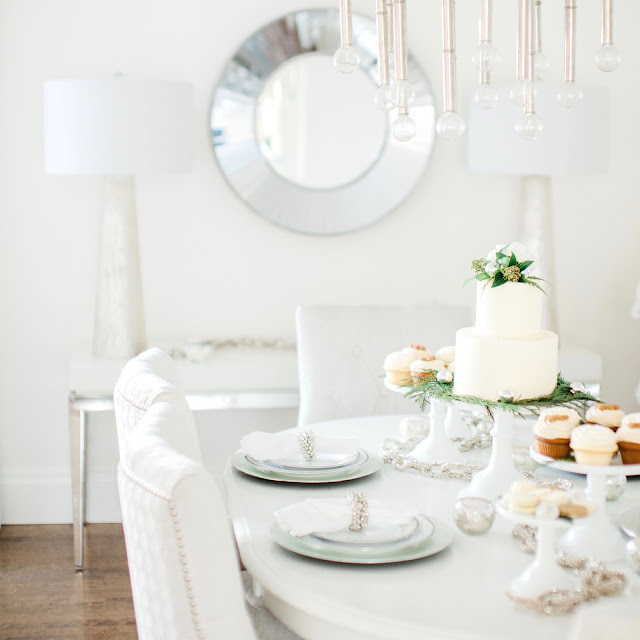 This year it was a mix of soft muted metals, and some glittery elements, as well as some florals and greenery. I like how fresh and bright it all feels. I'm fortunate enough to have the best local bakery here, Crave Cupcakes, founded by sisters and all about family. 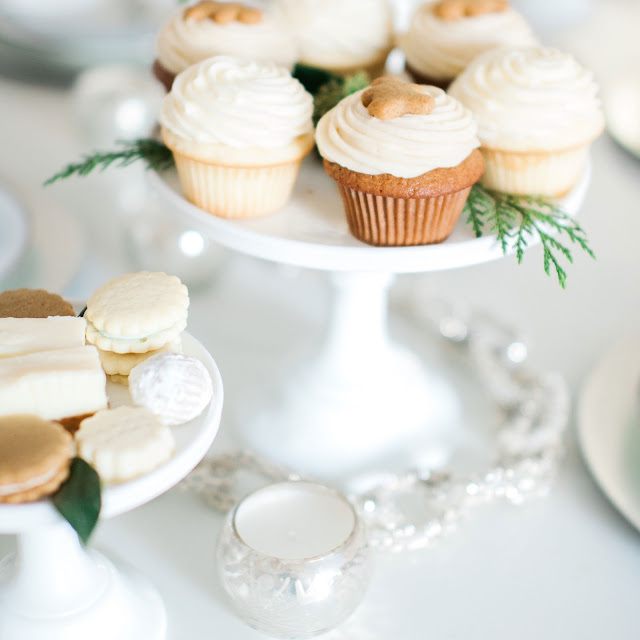 Grazing on their cupcakes and other holiday treats has become an annual tradition for us when setting up our Christmas tree, and we wouldn't dream of getting started without them. 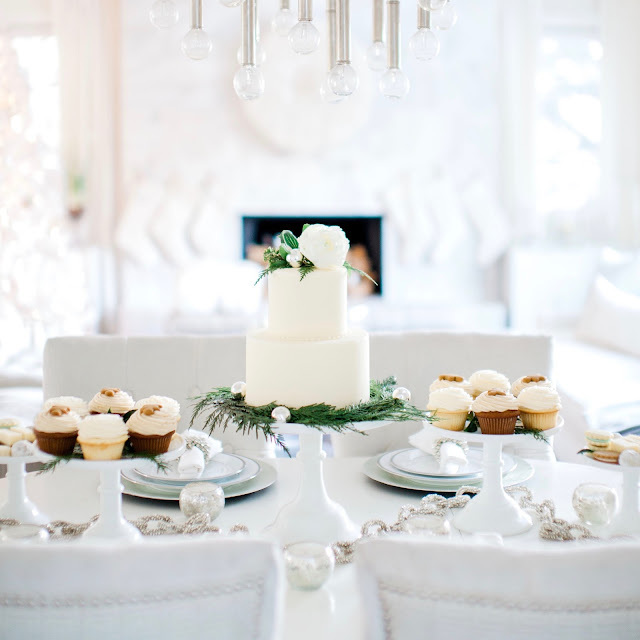 We make trimming the tree into quite the party around here... because any excuse to eat cupcakes, right?! 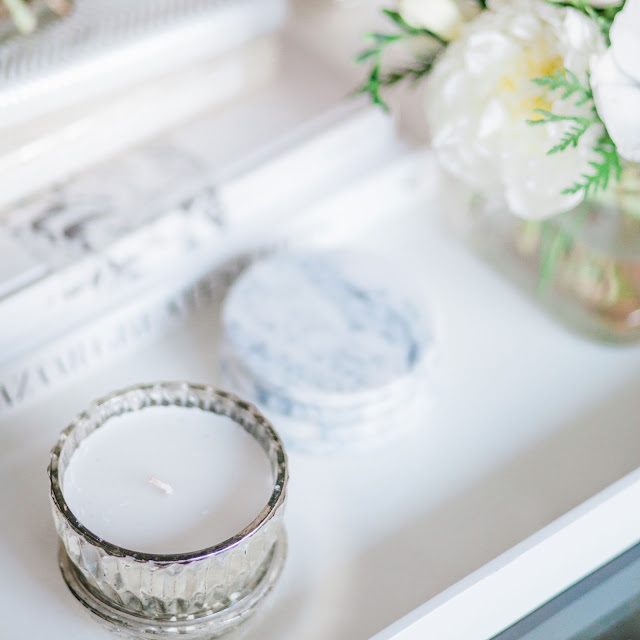 Quite possibly my favourite addition are the St. Jude lidded glass candles - these ones are from last year but they have a new collection this year too. They smell so lovely, look beautiful with my other accessories, and a portion of the proceeds go back to your local Children's Hospital. That just feels good whether you keep them or give them as a thoughtful gift. This year's Children's Hospital collection here. 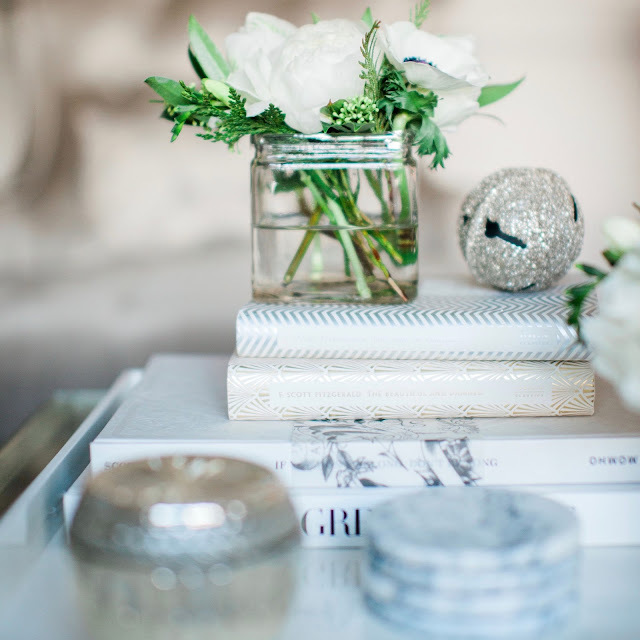 Mixing ornaments with some fresh flowers adds a festive touch amidst the accessories that normally reside on the coffee table. I can never get enough pillar candles. Setting up multiple vignettes of flameless flicker candles; all of which are on a timer, means that the living room has an ambiance and glow that I can depend on at the same time every day. They're amazing to come home to on a cold winter night and the boys enjoyed decorating the candle holders with fake snow and german glitter snowflakes. I thought it might be a slightly different approach to stack logs end to end in the hearth and stagger a collection of simple glass votives over the wood ends that jutted out. I like that the flame is enclosed in the glass cup and therefore I needn't worry about them setting fire to the wood. 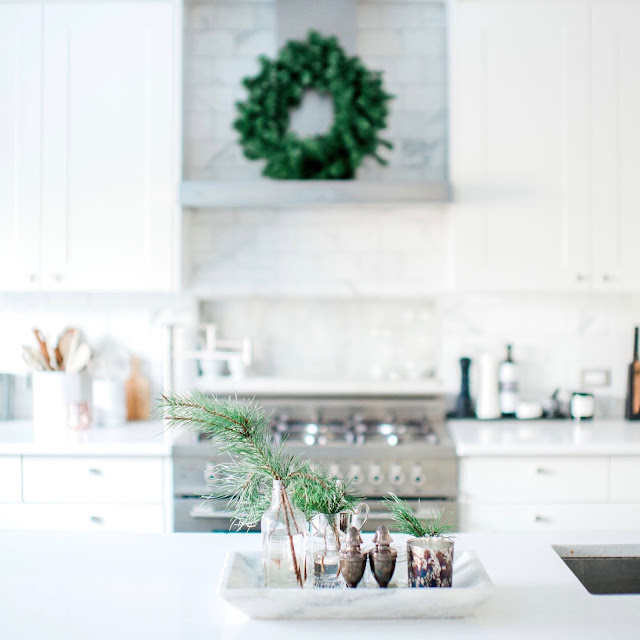 I couldn't overlook the kitchen and dressed it with a simple wreath of real evergreens, and a simple arrangement that will last weeks if you clean the water every few days. The family room also got a simple update of two boxwood wreaths on the windows, some florals and paper white bulbs. This room gets a lot of traffic so thus far I've left it at that. 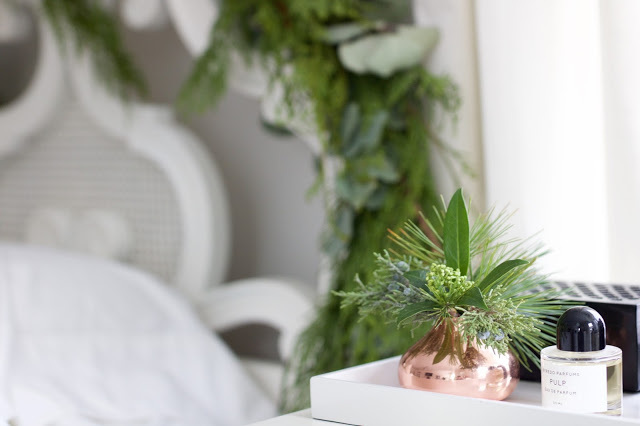 I love adding a touch of greenery to the bedroom as well. It's festive and smells amazing. My friends at Amborella made me this Eucalyptus and Evergreen garland. I added some of the left over pieces to a bud vase for Luke's bedside table. It just so happened that he had brought home some Juliet roses a few days before and I added them to some greenery for a vase on my side. Last but not least (bottom image) I couldn't leave out the front porch. I put together this very simple yet lovely planter. I bought long birch branches and we cut them in half to double their numbers. I love how the irregular heights turned out. 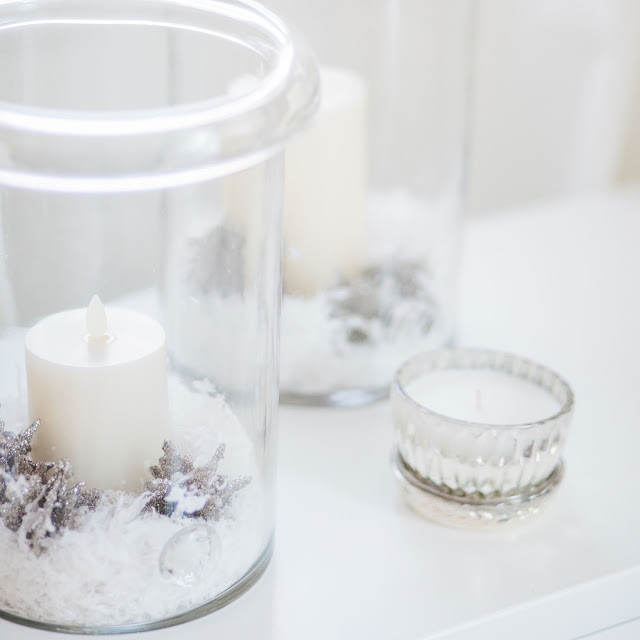 Paired with some evergreens and a lantern with a flicker candle on a timer, it creates a welcoming glow in the evenings. Jeez, Erica, your house is just so magnificent! Absolutely stunning year-round! Your greenery is just spot on Erica, against the fresh whites your home has such a bright and cheerful winter feel. Thanks for sharing!